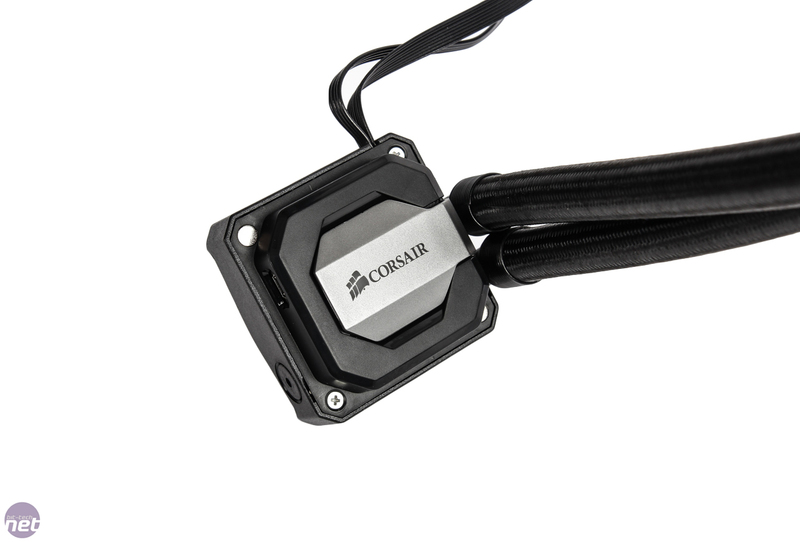 Corsair can probably be credited with ushering in the all-in-one liquid cooler era with the H50, with most previous models from other manufacturers either performing worse than high-end air coolers or having other issues with leaks or longevity. 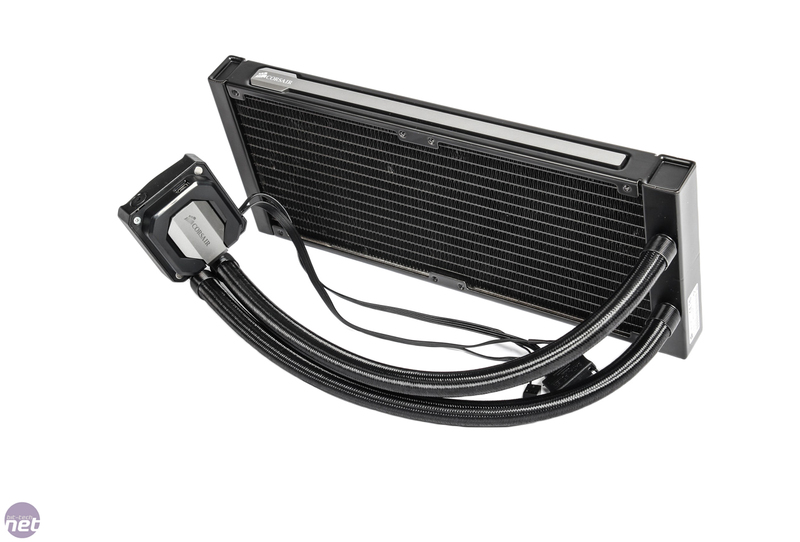 The H50 was the first all-in-one liquid cooler we saw to be included widely in retail systems too and from there it's been onwards and upwards with ever larger, ever more feature-laden and better-performing coolers. 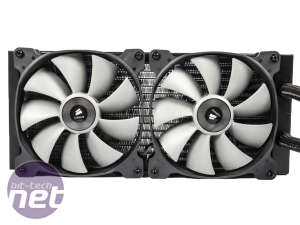 Today, we're looking at Corsair's new flagship cooler - the H110i GT, which is part of a new range of coolers also catering for single 120mm (H80i GT) and double 120mm-fan (H100i GTX) models. 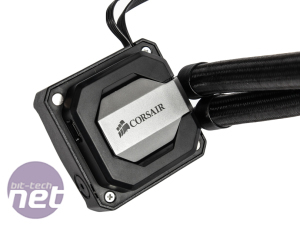 Both Corsair and NZXT have dabbled with 140mm radiators and the H110i GT stands on the shoulders of Corsair's previous double 140mm-fan model, the H110. 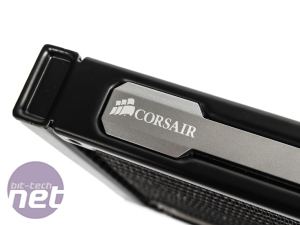 However, unlike the latter, the new H110i GT is equipped with Corsair Link - a USB-enabled software control program that all of Corsair's i-series coolers can tap into. 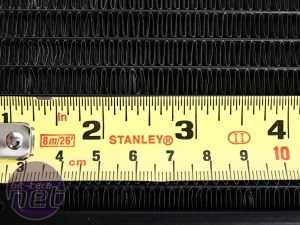 More on that in a minute. 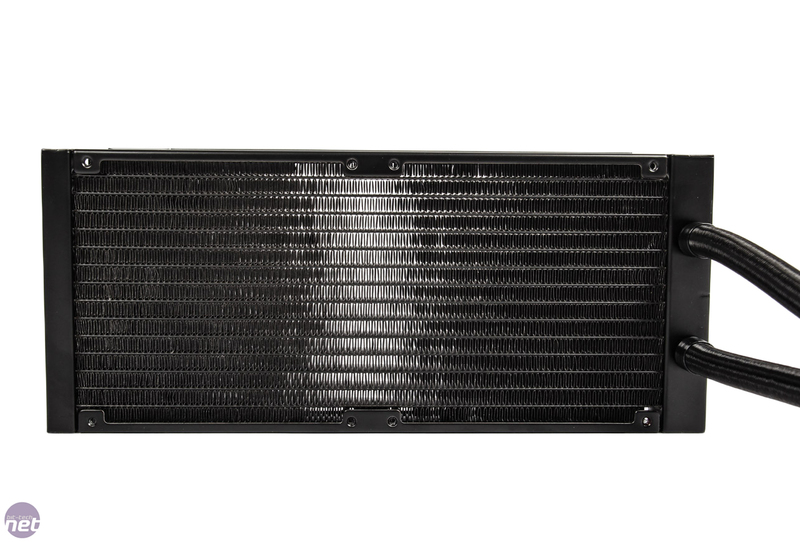 The downside to using 140mm radiators is that you immediately limit the number of cases you can fit the cooler in. 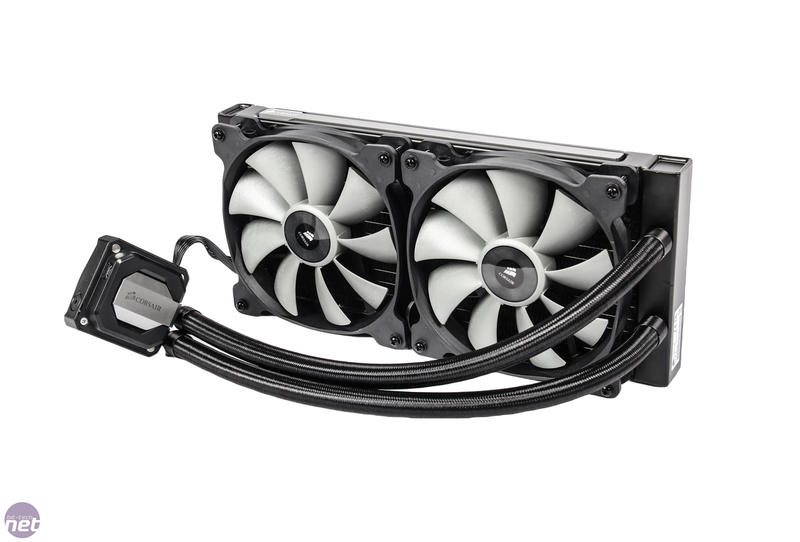 As the H110i GT is a double 140mm monster, this does mean you'll not only need a twin 140mm fan mount but enough space for the tubing ports that protrude out the top too. 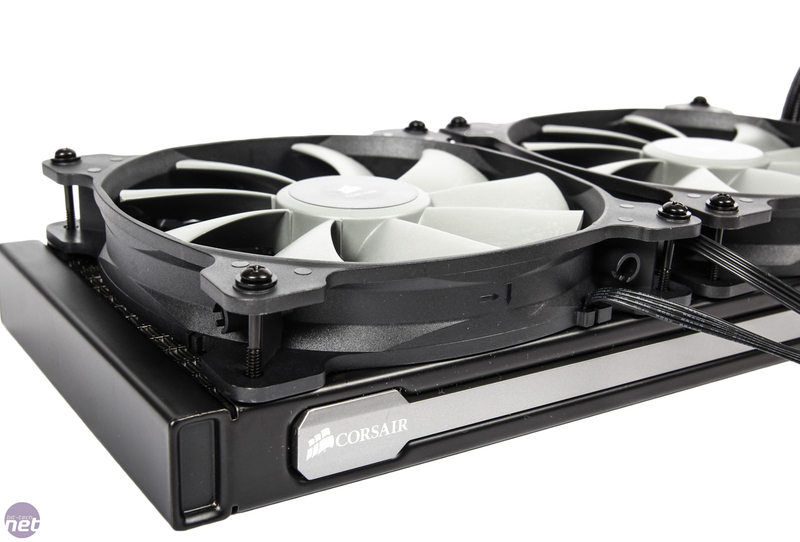 Even our test systems, which are based on Corsair Carbide 500R's that do have twin 140mm fan mounts in the roof, aren't big enough and required some ingenuity. 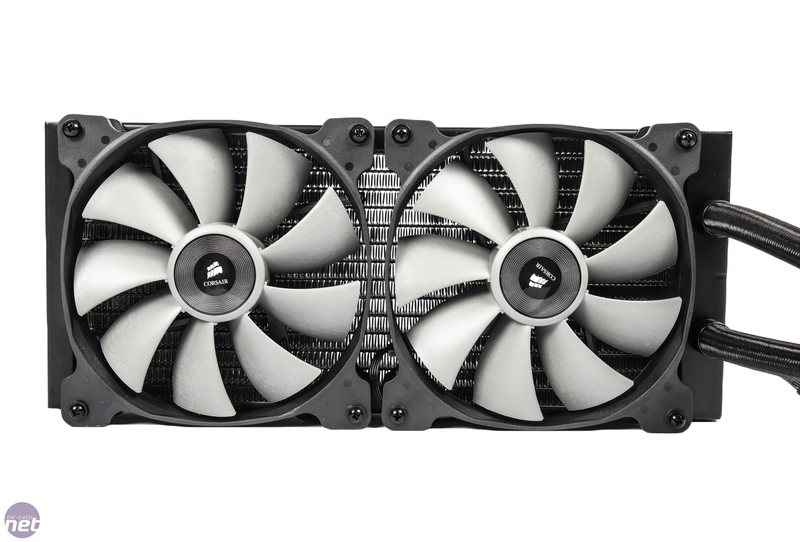 The plus side to using a larger radiator is that it's able to dissipate more heat, so in general you're able to use quieter fans to achieve the same level of cooling or if you're hard of hearing, put the fans into beast mode and get the best cooling around, short of full-on water-cooling. 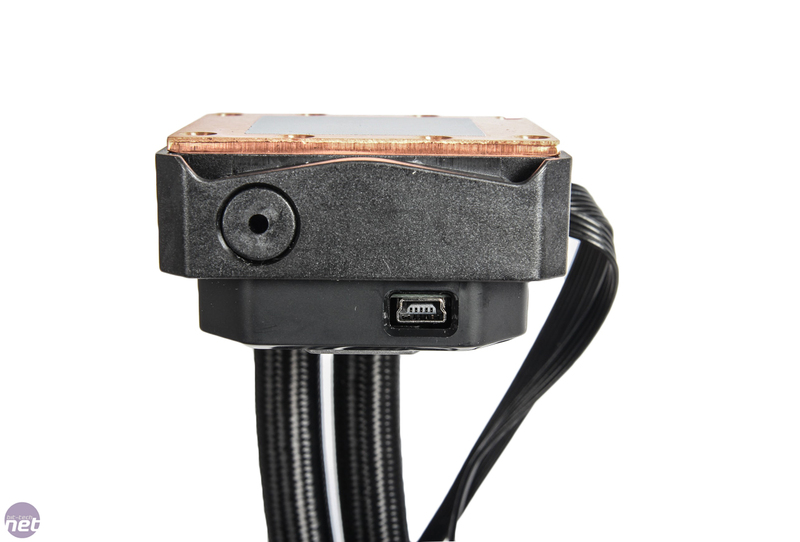 The fin density, which stands at about 10fpi, is average so should mean the H110i GT copes equally well at low and high fan speeds. 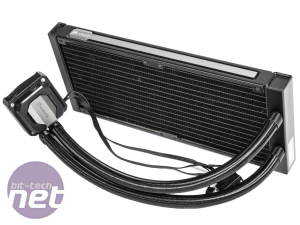 Aesthetically, the H110i GT is a big improvement on previous models with some added pizazz to both the radiator and pump section. 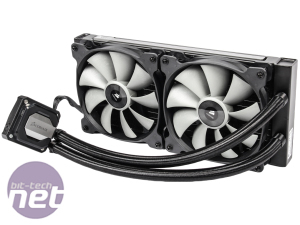 In addition, the tubing now features a dense braid coating instead of the usual glossy plastic. 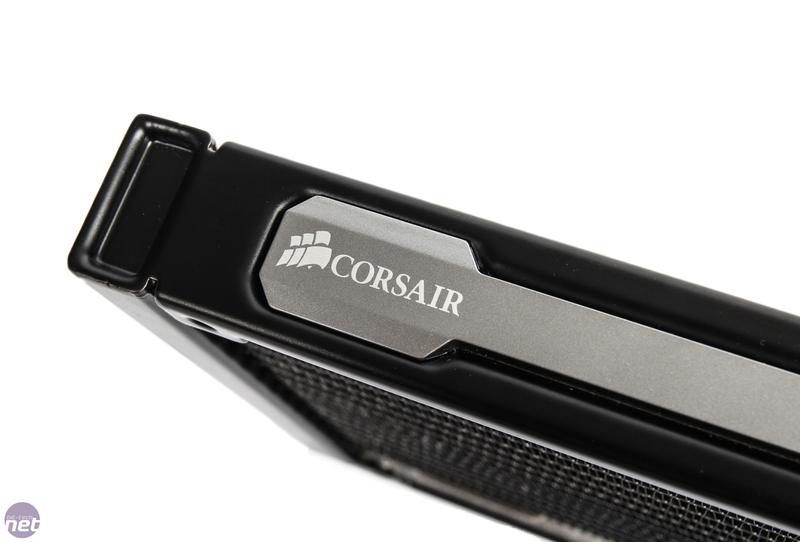 These are all welcome improvements as several of Corsair's competitors have stolen a lead in the looks department recently. 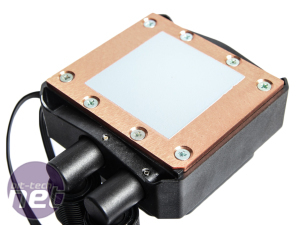 Thermal paste is pre-applied and in the box are the usual set of bits catering for all current popular CPU sockets plus a pair of 140mm fans along with screws allowing you to mount the cooler radiator-first or fans-first to your case. 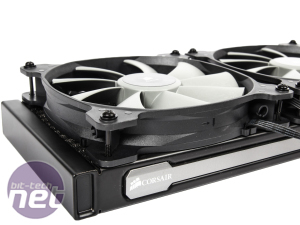 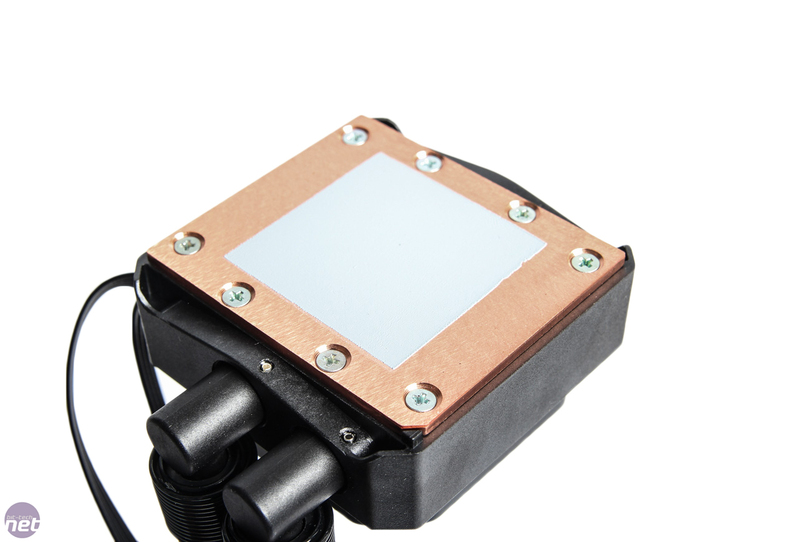 Mounting is accomplished using a near-identical method to previous i-series Corsair coolers, with a standard mounting plate for Intel sockets along with a motherboard backplate and mounting pins, while AMD sockets still use two clips that make use of the standard AMD mounting mechanism. 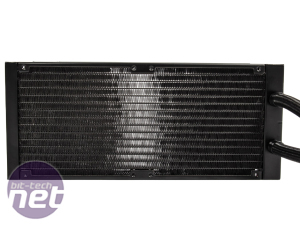 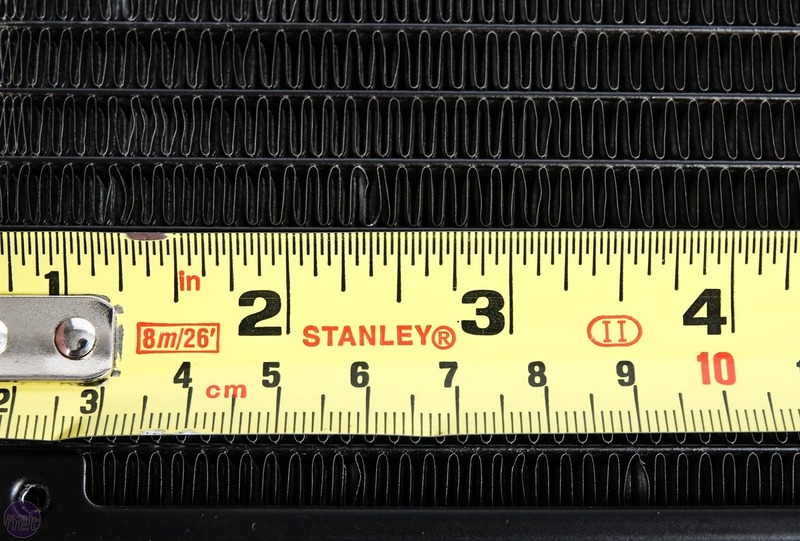 It's straightforward and gets no complaints from us - in fact, apart from having to deal with the large radiator too, it's easier to mount than many air coolers we've encountered. 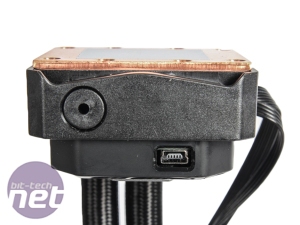 There's also a USB cable that connects to the pump section that you'll also need to hook up to a spare USB 2 header on your motherboard to use the Link software.